Each spring, it seems as though we move right along with the cycles of Nature to clear out the old and stagnant to make way for new energy to move in and lift us up. The whole world is awake and alive with new beginnings and it can be to perfect time to allow this same energy into our own minds, spirits, and bodies to create shifts, healing, and awakenings. When I first became interested in energy medicine, I had the most earnest and deep intention and desire to know more about it. I didn’t know for certain how that would come about or what I was meant to learn, but I knew that this was a new connecting point to the very helpful world of plants & herbs, animals, and Nature which had taught me and helped me so much. Yet, I felt stuck. I couldn’t find my way to move forward and really didn’t understand who I was. I had no idea why I was stuck or what to do about it. Finally, I worked with an energy healer who practiced pranic healing. She did a huge amount of clearing in my solar plexus, sacral, and root chakras. Afterward, she told me that I was holding a huge amount of my personal energy back in these chakras, especially my solar plexus. Then she gave me a wonderful tool, which I will share with you today. The solar plexus is the center of our personal energy, our power center, so to speak. It connects all the energy of the lower chakras, the body, and the Earth, with all of the energy of the upper chakras, mind, spirit, and the Cosmos or Heaven. When the solar plexus is blocked or imbalanced, we can’t easily clear any blockages in the sacral or root chakras. We can’t access and use the energy or personal spiritual power that we are given by the Divine. We don’t feel really at home in the world or in our bodies. We may feel unsafe in loving expression, due to the imbalance within ourselves. Moving forward becomes very difficult or impossible without balance and flow in the solar plexus. Many people remain stuck or caught in repeating cycles because of imbalances here. To help yourself clear and balance the solar plexus and the lower chakras, write a letter freeing yourself from anything that you feel binds you or your energy. This may be old resentments, regrets, unhealthy relationship patterns, limiting beliefs and ways of thinking. It could also be ways that you identify yourself that no longer feel appropriate. You will never send this letter, so you can freely write to who or whatever you need to. Before you begin, take a moment to sit quietly and really look within. Notice all the places that you feel stuck or don’t feel able to be authentically you. Notice any areas where you feel a desire to move forward, but something is holding you back. Then simply start writing your letter, addressing each of these situations that arose within you. Let it flow out of you freely onto the paper. Write to all of the people, circumstances, belief patterns, regrets, or resentments that you wish to release or view differently. Remember, no one will see this letter but you, so say whatever you need to so it can release and heal. At the end of the letter, see if you can find forgiveness for yourself, the other people, and situations involved. You may choose to keep your letter to look back once a year or so and see your progress. Or you may choose to tear it up, bury it or burn it (safely), offering the healing intention to the Earth. Whatever you do, it is important that you not send the letter to anyone you addressed in it. This letter is only for you and your healing. Writing is such a beautiful tool to help us explore our inner world and heal it. I hope you try this tool. I am forever grateful to the pranic healer who helped me find my personal spiritual energy again by telling me about this tool. Early last year, took Soul Writing myself and it was wonderful! I loved Paula’s course so much, I have begun recommending it to my students. I recently asked her if she would be willing to extend a discount to my readers and she graciously agreed. 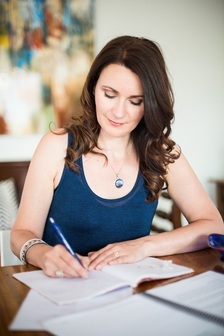 Soul Writing teaches a form of automatic writing which helps to guide you back into alignment with your own soul. It is a beautiful, simple, and empowering tool to use in order to work with your spiritual energy as you were designed to. In order to receive your 20% discount, enter the coupon code SOUL20 during the checkout process.The coupon is valid for this weekend and the special will end on May 15, 2017. Enjoy the class! Paula Vanderzon, Soul Writing Class.